WWE & BOOM! Studios Announce WrestleMania 2018! BOOM! 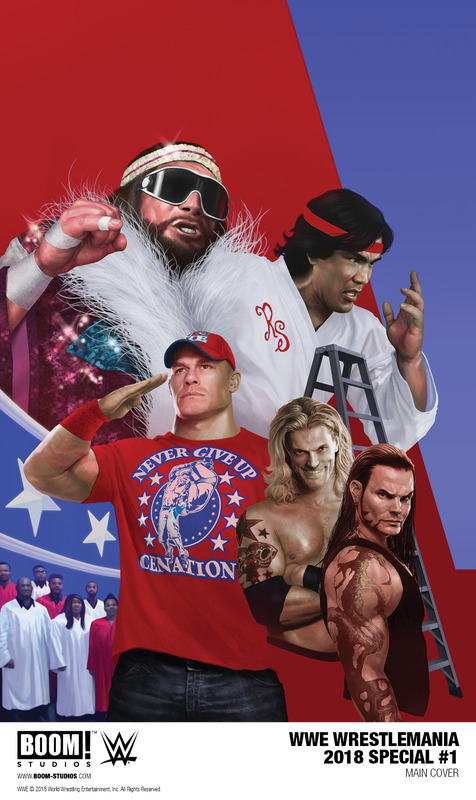 Studios and WWE today announced WWE WRESTLEMANIA 2018 SPECIAL #1, celebrating WWE’s annual pop-culture extravaganza. This oversized one-shot features WWE Superstars John Cena, The Miz, Jeff Hardy and more, including the untold story of the legendary WrestleMania III match between “Macho Man” Randy Savage and Ricky “The Dragon” Steamboat! Writers Ryan Ferrier (Kong on The Planet of The Apes), Tini Howard (Assasinistas), Lan Pitts (WWE) and Julian May (WWE Survivor Series 2017 Special) are joined by artists Kendall Goode (Maze Runner: The Death Cure) and Rodrigo Lorenzo (WWE) for the biggest WWE comic of the season! 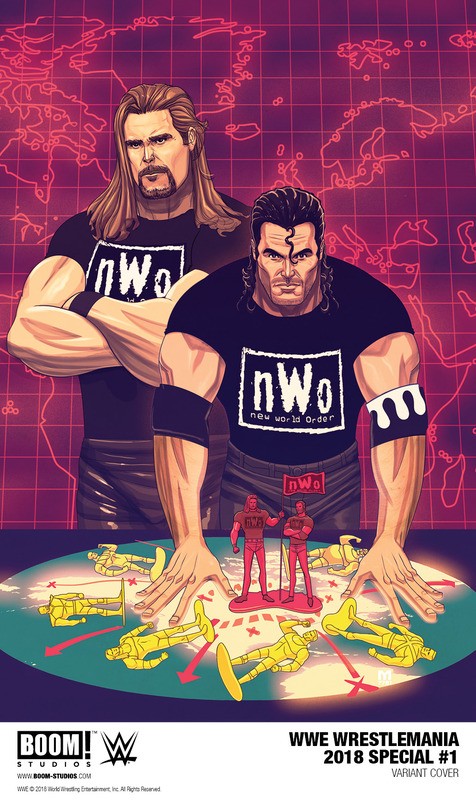 WWE WRESTLEMANIA 2018 SPECIAL #1 features a main cover by Rahzzah (Luke Cage) and an NWO variant cover by Marco D’Alfonso (Avengers). This special is the latest release from BOOM! Studios’ eponymous imprint, home to a world-class group of licensed comic book series and ambitious original series, including Mighty Morphin Power Rangers, Planet of the Apes, Big Trouble in Little China, Victor LaValle’s Destroyer, Mech Cadet Yu, Grass Kings, and Klaus. Print copies of WWE WRESTLEMANIA 2018 SPECIAL #1 will be available for sale this April at local comic book shops (use comicshoplocator.com to find the nearest one) or at the BOOM! Studios webstore. Digital copies can be purchased from content providers, including comiXology, iBooks, Google Play, and the BOOM! Studios app. For continuing news on WWE WRESTLEMANIA 2018 SPECIAL #1 and more from BOOM! Studios, stay tuned to www.boom-studios.com and follow @boomstudios on Twitter.